Patrolman Tanner Collins with Buckhannon Police Chief Matt Gregory. Photo Credit: Amanda Hayes. 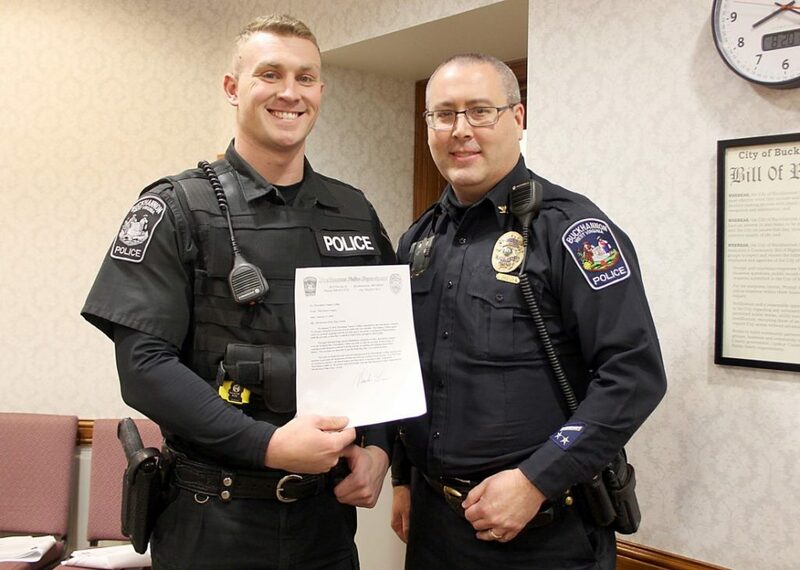 BUCKHANNON, WV: At Thursday’s City Council meeting, Buckhannon Police Chief Matt Gregory bestowed the Meritorious Police Duty Award upon Patrolman Tanner Collins for exemplary police performance during a recent incident at St. Joseph’s Hospital. During the presentation, Chief Gregory shared that Collins had provided compassionate care for a suicidal teen who was scared and distrustful, allowing the individual to receive treatment from medical staff. Gregory noted that Collins’ “special faithfulness, attention to duty, and perseverance over an extended time” calmed the juvenile, improving the individual’s mood to the point that they were “smiling and talking about their future” with Patrolman Collins. In addition to the award presentation, Chief Gregory shared that the Buckhannon Police Department will be holding a Citizens Police Academy beginning in March to train new Volunteers in Police Service (VIPS) members. The training is open to anyone who is interested in volunteering alongside the police force, providing help to the officers. In another community partnership, the department will provide drug awareness training for parents in collaboration with Upshur County Head Start on Wednesday, January 23, 2019. 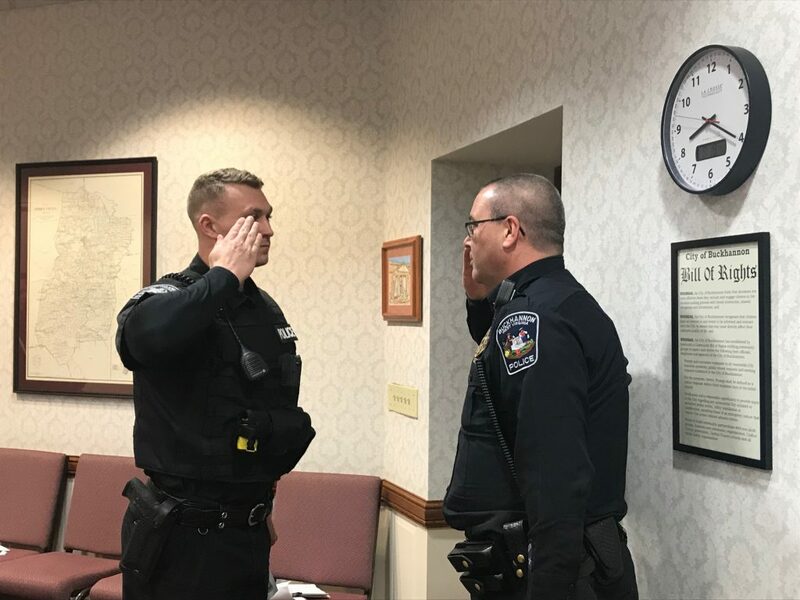 The Buckhannon Police Department, led by Chief Matt Gregory, employs 11 full-time officers, 1 part-time, and one administrative assistant. The department is responsible for community safety, crime prevention, and apprehension of offenders. The Buckhannon Police Department is currently seeking national accreditation through the CALEA program, which ensures compliance with national regulations and best practices in policing and crime reduction. In an emergency, call 911. To report a crime via the anonymous tip line, call (304) 473-1001. For assistance or questions, please call (304) 472-5723.